UK businesses nervous of a "slow Brexit"
He wasn’t wrong. 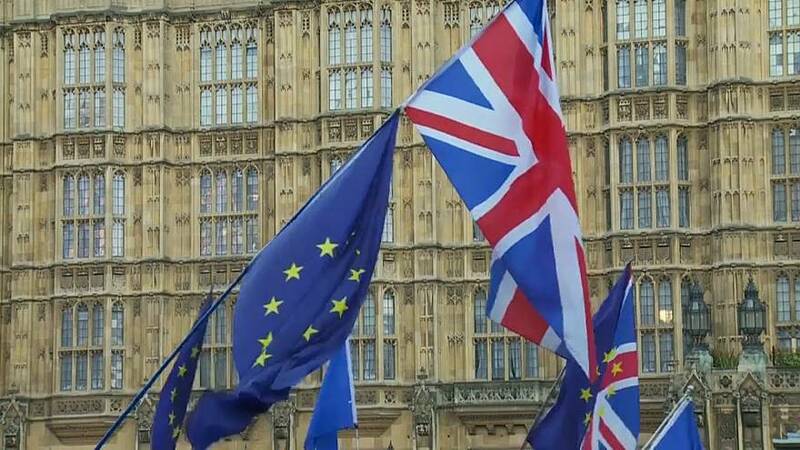 The latest twist of the Brexit saga will see British MPs take control of the process and hold so-called indicative votes on a variety of possible Brexit outcomes. Prime Minister Theresa May is still pushing her deal and hoping for a third meaningful vote even as rumours circulate over her future. The Brexit options that will be discussed include "No-Deal", being part of a customs union, a Norway style deal with membership of the EU’s single market and many others. MPs can vote for one or more of the options and the totals for and against each of them will be counted up. But the uncertainty is impacting on businesses and consumers in the UK. Speaking to Tadhg Enright on Good Morning Europe, Economist Vicky Pryce said that prolonging the Brexit process could cause even more harm. “Since the referendum vote in 2016 businesses have been very reluctant to invest,” she said. “We had very high employment in this country and for a while the world economy was doing well. But they haven’t invested. “Business investment fell throughout 2018 and it looks like it’s continuing to fall and there are also some indications that the car industry is in trouble, the retail sector is in trouble. So this uncertainty has certainly mattered a lot. Pryce, who is chief economic adviser at the Centre for Economics and Business Research and a former joint head of the Government Economic Service, said this was evidence that a slow Brexit was not good for business but suggested that a good resolution might make the long wait worth it. But she added that high levels of employment are not necessarily an indication of a healthy economy. “It’s very easy to hire and fire people in this country,” she said. She also suggested that actions carried out by Treasury are distorting the data. “Since the referendum there has been this huge injection of liquidity into the markets by the Bank of England, not only through quantitative easing but also term lending, which has been subsidised. Lots of small firms have benefited from this. While MPs consider possible alternatives to Theresa May’s Brexit plan, the Prime Minister will continue meetings with MPs in the hope of having yet another “meaningful vote” on Thursday or Friday.